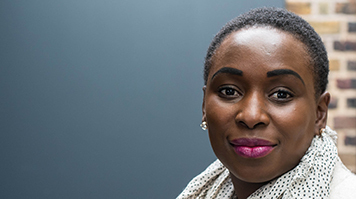 For Emilie Mendy (BA Arts and Festival Management, 2016), her partnership with LSBU’s Enterprise Centre has been central to achieving her goal of bringing a new kind of language learning and arts experience to London children. "I’d had the idea of helping children learn French through art workshops for a while. I saw there was no local provision where I was living in south-east London and I knew there were parents who wanted their children to have the chance to learn a language, as well as children who would respond well to a less rigidly academic teaching style. But the parents who could afford to pay and the children who most needed to learn were often in different areas and there was no obvious source of funding. I applied for the degree course at LSBU because it matched my ideas for creative entrepreneurship so closely. But I still wasn’t sure how to take my business idea forward. "Everything changed in a single day. I was just a few months into the course when my husband nearly lost his job because his van was stolen. This galvanised me, and the very next morning I walked into the Clarence Centre and asked for an appointment. I think they could tell I was a woman on the edge, as they agreed to see me on the spot. From that day I’ve been fully focused on making my business, Bizzie Bodies, work. The Enterprise Team’s support has been incredible – I’ve gone from worrying about how I could afford to set up a PO box to having a desk and access to all the facilities I need to run things. Even more valuable is the help and advice that’s available within the team. "The team has helped me refine my ideas. For example, I’m now broadening the appeal of our workshops by offering other languages apart from French. I’ve also realised that in tough times I can’t be fully reliant on grants and sponsorship, so I’ve started running paying activities at local events and festivals around London and investing the profits in free workshop activities in areas where there is greatest need. But probably the best thing I’ve gained is access to a network of people with skills and ideas that complement my own. "Finding funding is a major challenge, and it takes creativity to keep it flowing. I was lucky early on to get grants from United St Saviour’s, UnLtd and Southwark Council. Now I’m planning to apply to the Arts Council and to join London Regeneration’s Crowdfund programme. I always have a funding application on the go, but that’s not enough – you have to adapt to the environment. London is constantly changing and regenerating and that brings challenges and opportunities. At the moment, for example, I’m running workshops sponsored by local businesses from a pop-up shop in Surrey Quays shopping centre. I’m also planning to hold a pop-up gallery of children’s art there at weekends. One of my aims is to set up a more permanent gallery and language learning space where London children can express themselves. It will require serious funding, so I’m working on that one! The Enterprise Team’s support has been incredible – I’ve gone from worrying about how I could afford to set up a PO box to having a desk and access to all the facilities I need to run things. Even more valuable is the help and advice that’s available within the team. "I believe children absorb language best when you give them something interesting to do. Language acquisition should never, ever feel like work. The best kind of learning happens almost without children noticing, while they are busy doing something else. At our workshops we offer really engaging activities focused around say, graffiti, printing or graphic design. An artist who works in that field runs the creative side and I’m hands-on working alongside the children, introducing new vocabulary and structures as they come up naturally, encouraging the children to talk in French about their art and about the choices they make as they work. "Money isn’t my main motivation – I care about realising my dreams. I’ll feel that I’m successful once my reputation for good work is opening doors, enabling me to expand my business and invest in great projects that help the community. "I still miss my course. The degree I took was amazing; the university is amazing. It was such a dynamic environment. I particularly enjoyed the way we’d work on real business cases and have talks and input from alumni and entrepreneurs who were having to make decisions and apply them in the real world. I loved that the tutors were always willing to debate with me and help me refine my ideas about what was the best approach for my business."